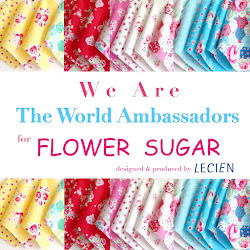 The new Flower Sugar fabric by Lecien has hit stores and today I get to reveal the secret sewing I've been working on. When Brenda, the owner of Pink Castle Fabrics asked if I'd like to make a quilt with the new line I quite enthusiastically said yes! I have loved Flower Sugar from the very beginning. I was allowed to use fabrics from the previous Flower Sugar lines, as well, so I pulled some of my favorites to work with. The pattern is called, "Wreath of Hearts" from the book, Quilting With My Sister. It was a perfect pattern so showcase such happy fabric. I sent the quilt off to my friend Donna for quilting. 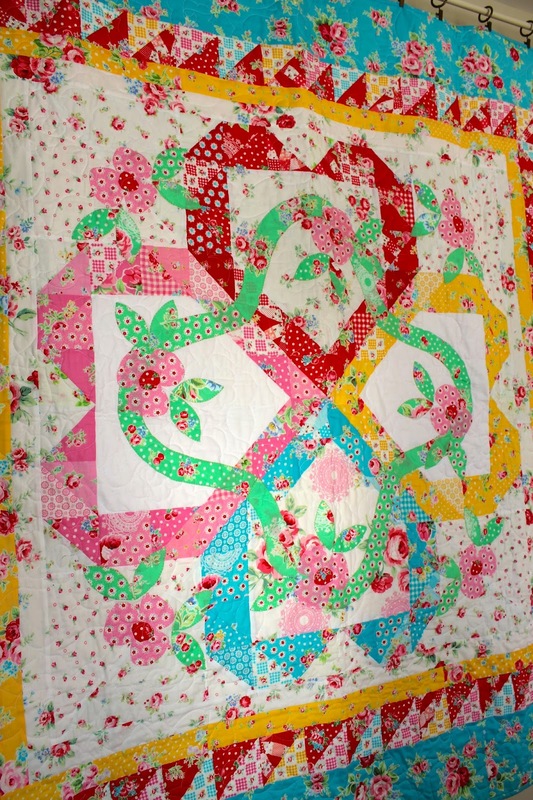 She used beautiful hearts and flowers to make this quilt a treasure! 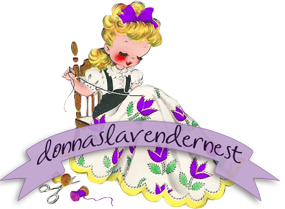 Donna has a great long-arm quilting service as well as a shop. Make sure to visit her website. Thank you Brenda for the opportunity and thank you Lecien for your generous bundle of fabric. Donna, thank you for making this quilt such a keepsake! Check out Rita of Red Pepper Quilts here for her quilt and be sure to check in with Brenda who will be revealing her quilt soon! 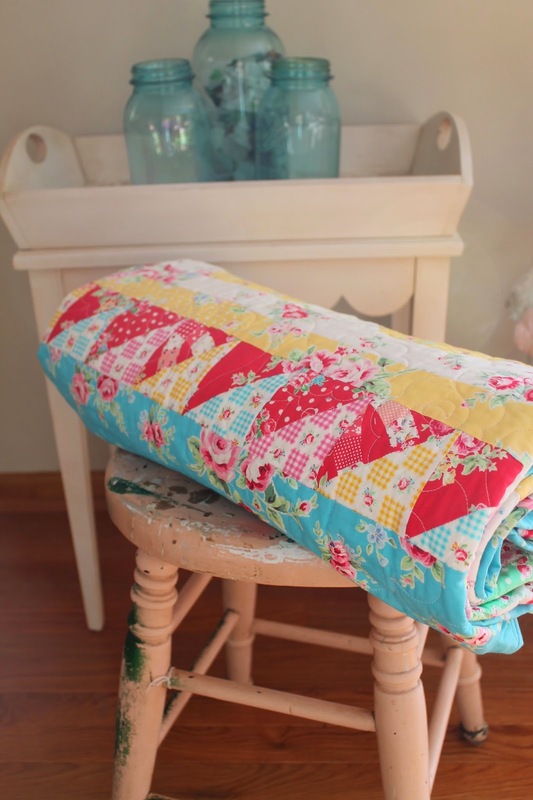 Wow, a really beautiful quilt, the fabrics and colours are gorgeous, a real delight. Love, love, love your quilt, Renee. I have a stash of Flower Sugar, but not any of the new line. It's great how it all works together. That book has my name on it too. So beautiful, I think if I had to choose only one fabric line to sew with the rest of my life I would choose flower sugar. 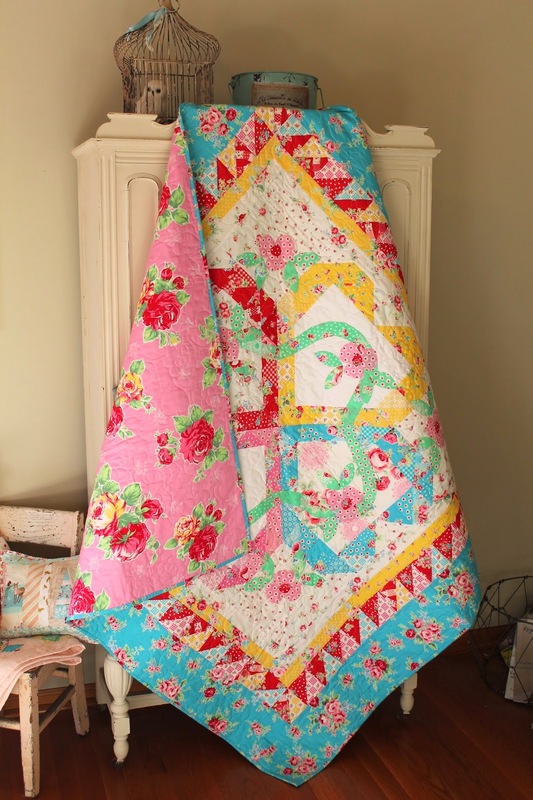 I have never seen such gorgeous prints and colors and every quilt that is made with them is so cheerful and lovely. oh my word! that is beautiful! & I'm loving that book , I think I need it just becasue of the cover lol!, once again your quilt is beautiful! I LOVE IT!!! So pretty, colorful and Love it! 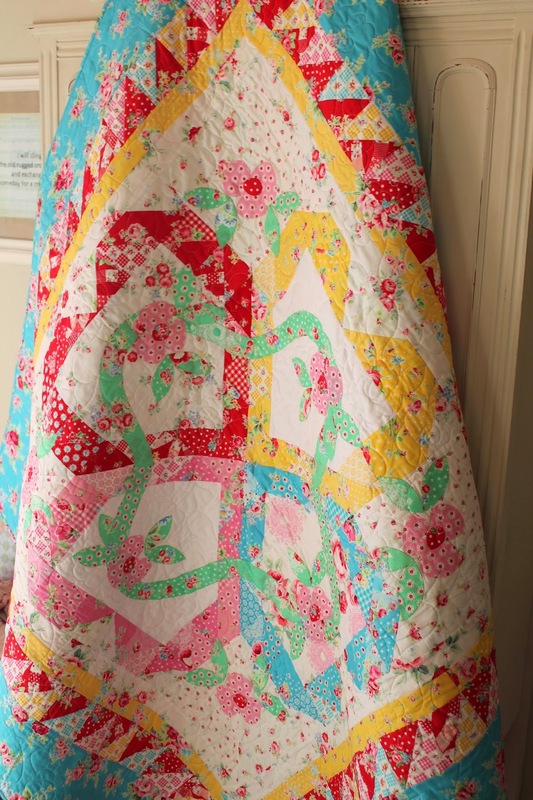 Such a beautiful quilt Renee! Love everything about it!! Renee you are so sweet. I love love your quilt. It was a pleasure to quilt your beautiful quilt. I love this one. The colors and pattern are gorgeous. Your blog is so pretty and sweet! Love your new header!